Suffering with a mental illness like anxiety is not only difficult for yourself, but it can be an extremely frustrating and challenging experience for those around you. Friends and family can say things to you which upset you, make the situation harder, or doesn't help at all but, a lot of the time, they're unaware of the damage being made. In partnership with the new Mental Health campaign Huddle and Cuddle, I am sharing my experience of things that friends and family have said in a harmless way, but can be very hurtful to those with anxiety. I think this is particularly beneficial to those who have partners with such mental illness as it could really open someone's eyes. It's well known that, for those suffering with anxiety, the concept of time can be something difficult to get your head around. For example, if someone is to tell you to 'Live in the now', that isn't going to be effective as you're too aware there's 'that situation' coming up in the future. But, I think the most irritating and frustrating thing that someone suffering with anxiety can hear is: "You'll be fine, it's only 20 minutes". I remember when I first started going to college and getting the bus to and from was one of the worst experiences of my day to day routine. I used to purposefully stay back at college so that my family had to pick me up, and I was constantly asking for lifts in place of bus trips. People used to say that the bus ride is 'only a 20 minute ride' and it boiled my blood how no one could understand. The thing that changed my perspective on this and made me feel more comfortable about this fear of time was knowing that I wasn't alone. One time my therapist said 'but 20 minutes is a long time' and the weight that lifted off my shoulders at that point was immense. Even though I still suffered with the prospect of sitting through 20 minutes of a bus ride, it was just that little bit easier knowing that I wasn't strange or weird. I guess my therapist, at that point, opened my eyes on acceptance and realising that there's no one to convince other than myself and if I think it's a long time, then it is a long time. While that might not have fixed the anxiety while on the bus, it gave me piece of mind. Of course they aren't; there are far more important things in the world than watching you pleasantly sat in this cafe. Or at least that's what anxiety DOESN'T get told. If anyone would be able to illustrate the creature called 'mental illness' it would most definitely be the devil, or a big spiky lump of bacteria, or what ever else you hate - therefore, along with it's purpose of looking ugly, anxiety manages to be ugly by convincing your mind of things that aren't true. You're sat in a cafe and you spill a drink. The drink is all over the floor, the glass is smashed and there are waiters running frantically trying to pick up your mess. At this point you would be MORE than happy if the ground opened up and swallowed you because, of course, all eyes are on you. But there's a reason why they are. As humans, we are genetically trained to be aware. In the prehistoric ages we were dependent on our observation of things near by to determine if we were in danger or if others were. But why am I waffling on about neanderthals? It's because when something dramatic happens in life, (or something shocking; unlike any of our previous experiences) we are trained be observant. So if you think people are looking at you for spilling that drink and smashing that glass just remember that if it was them who did it, you would react the same only naturally. Understandably, they might not get the urge to run away and cry, but that is what makes us different. Out of everything, this is the one that bugs me the most. I think this phrase comes most likely from parents and elders - or at least it does from mine. The reason why I am so irritated by this statement is because the concept of 'Worry' is abstract and cannot be touched. You cannot just stop the amount of worrying that goes on in your head because believe me, if I could, I would. I get it, we all suffer with worry. Again, it's the human's natural mental reflex for preservation. I guess saying 'don't worry' to anyone, regardless of a mental illness or not, is an extremely crazy thing to say. In fact, my boyfriend and I have this running joke that whenever someone tells us to 'Stop worrying' we say 'OMG, it's gone I am no longer worrying. Thank you so much for that instruction', because it's absurd. This one really gets on the last nerves of many, many people and I've seen lots of writing refusing this belief online. People, particularly those suffering with no mental illness, dismiss it as 'teenage hormones' which is incredibly offensive and belittling to anyone suffering. The one thing that I want to put in their heads is that, yes, it can be a result of teenage hormones but, here are the facts: Only 20% of the UK's adolescent population have experienced mental health problems in any given year. So where is your reasoning for blaming 'teenage' hormones? But yes, teenagers are incredibly hormonal and, in fact, it always baffles me as to why these intense and confusing hormones are so incredibly dismissed by society. Studies also show that 75% of mental health issues are established by the age of 24 which means that adults are amongst the many suffering with this. It's not a fashion trend; it's not a get out of jail card; and it's certainly not an excuse, so it's about time it stopped being treated like one. I think that the importance of understanding mental health is incredible and has such a long, long way to go but there is so much hope within me that, one day, mental health will be as understood as a broken arm or leg and those who suffer will finally feel less of a need to explain themselves. There's a long way to go but I feel that with fantastic campaigns such as Huddle and Cuddle small changes can be made for big differences. Check out Huddle and Cuddle on Twitter as well as the fantastic founder Sophie. Share your mental health experience in the comments and share the love. This is such a well written and important post, Alice! As someone who doesn't suffer with anxiety I feel like you've really educated me here and I'll definitely keep them in mind from now on. Go you for writing it! 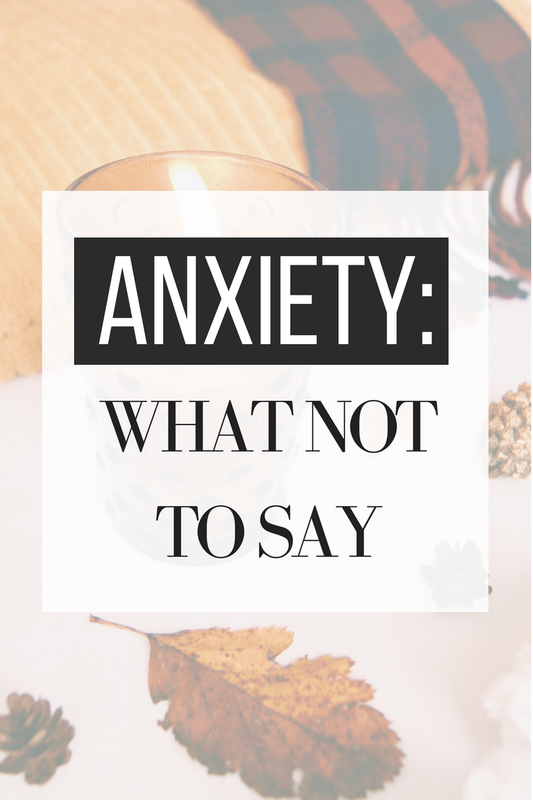 Hi Great article.My friend used to take Xanax for her anxiety disorder treatment. I've read an article that aside from Anxiety Disorders and panic Disorders treatment, Xanax also effective for Depression and Insomnia. : https://www.drug.education/benzodiazepines/xanax/what-does-xanax-do-what-is-it-used-for/ - Do you agree? I can relate to this so much! I get 'nervy' going to the shop, and my boyfriend always likes to mention it's on a 5 minuet walk, like that doesn't matter man!